Lake and pond systems often suffer algae problems. As the lowest point on the watershed, they become a sink or trap for all the nutrients that flow in through stormwater or other sources. Algae can be unsightly and many species of algae produce toxins that are a threat to human health. It is often necessary to treat this problem growth with US EPA approved technologies and our group has been expert in this field for a number of years. One new tool we are deploying this coming season is SeCLEAR. SeCLEAR is a whole new idea in algae management, it combines a EPA approved algaecide to knock down problem growth and a phosphorus sequesting agent and water clarifier. One application can both target problem algae growth and reduce the amount of nutrient available to target future growth. For more information please contact us at tmcnabb@aquatechnex.com. Algae blooms are a major problem in nutrient rich waters around the world. The key nutrient that fuels this growth is phosphorus. The phosphorus levels in a lake or pond generally determine the carrying capacity of that system to product problem algae growth. In recent years an increasing trend has been toward cyanabacteria. These bluegreen species produces a number of toxins that are a serious threat to human health. 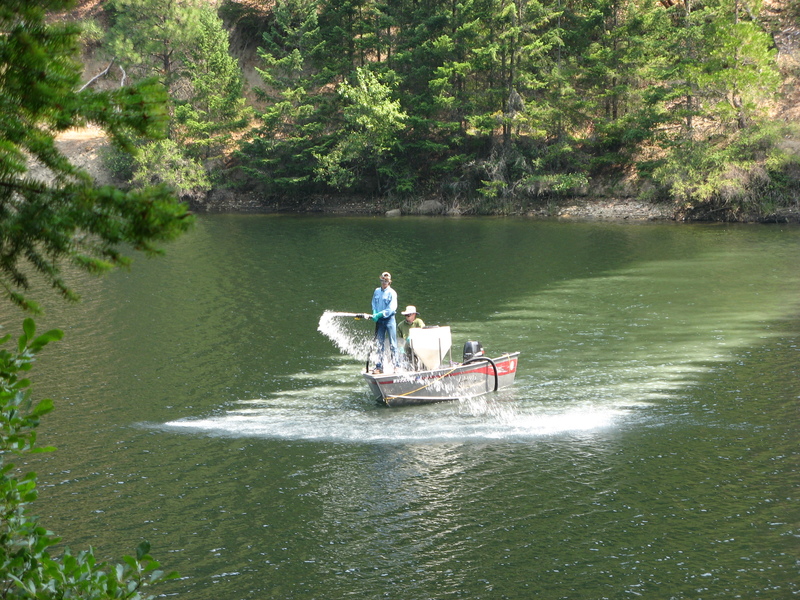 While there are a number of good algaecides available to lake managers, reducing the amount of phosphorus in the lake can significantly reduce the amount of algae the system can produce and support. This can be a preventative measure that limits the need for treatment. 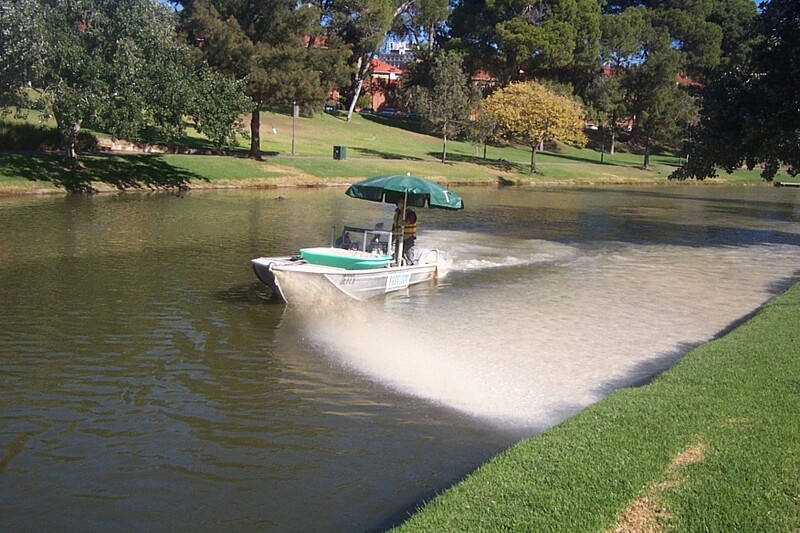 Our algae management programs have a new tool. Phoslock is a patented formulation that is applied to the water surface. The material settles through the water column removing up to 95% of the reactive phosphorus present in the water. It also form a barrier on the water sediment interface that adsorbs phosphorus from the sediment pore water. Unlike other phosphorus removal technologies, this material will work in a wide range of pH and under anoxic conditions. Our scientists calculate the phosphorus mass balance for the system and determine a dose that will target and remove this limiting nutrient. For more information please contact us at https://aquatechnex.com/consult_request.html and we can discuss how this new technology may meet your needs. Aquatechnex biologists scrambled to Southern Oregon this past Friday to control a toxic algae bloom at a city drinking water supply reservoir. This system was experiencing a significant Anabaena Bloom. This species of algae can produce toxins and when water tainted with this algae is processed it can cause taste and odor problems that exceed water quality standards causing a violation. As this system was not allowed to use a copper based algaecide, we used the new peroxygen formulation of GreenClean Pro. 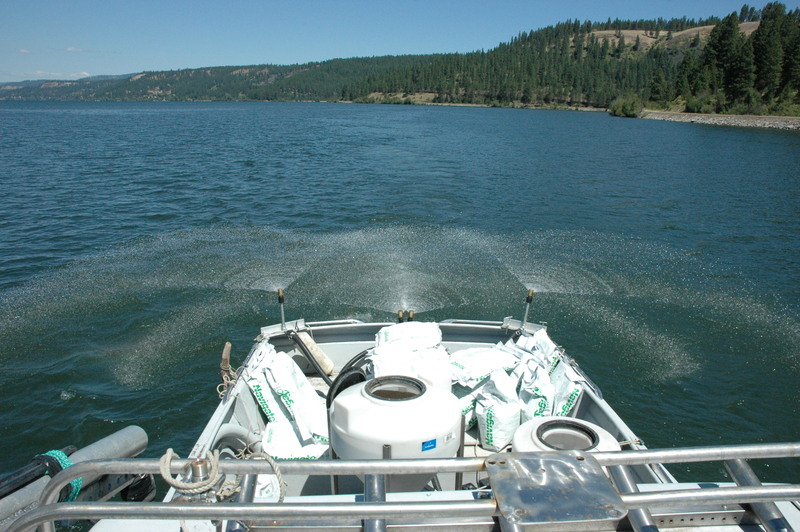 This granular product is applied through an eductor system as shown here and rapidly forms buffered and stablized hydrogen peroxide when the granules hit the water. This application started affecting the algae almost at once. There are no impacts on other organisms and this product is approved for use in domestic water supply systems as the byproduct is oxygen. Eductors are a new and effective way to broadcast granular algaecides and aquatic herbicides like GreenCleanPro. These systems put out an excellent coverage pattern and make for a much cleaner and dust free application. The granular material is metered into a water stream and broadcast from a treatment vessel guided by GPS technology. It should be further noted that Solarbee aeration systems had been installed two months ago and this is the worst the lake has ever been. You may also access our complete blog at www.aquatechnex.wordpress.com for other interesting articles or view our web site at www.aquatechnex.com. If you are interested in deploying CleanGreenPro against your algae problems in the Western United States, we would appreciate the opportunity to discuss your problem and help you craft a solution.